As you might have learned by now, people are passionate about their food emojis. Google received public disdain over its unappetizing burger icon, and later received a similar level of uproar due to its redesigned vegan salad emoticon. 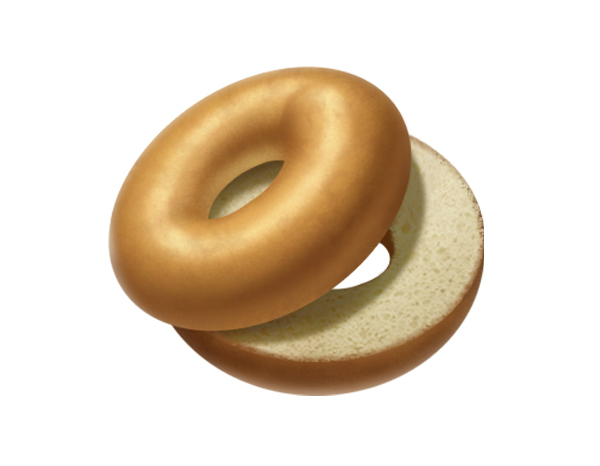 In what could be its first emoji-related controversy, Apple has introduced a new bagel emoji alongside 70 other icons for the iPhone, iPad, Apple Watch and Mac, and it appears as unremarkable as a bagel might get. The graphic’s lacklusterness was first pointed out by food news site Grub Street, which foresaw that the emoji would spark contempt among New Yorkers and bagel lovers around the world. Instead of leveraging the carb’s versatility, Apple appears to have depicted it as a stale, emptied-out bready item that couldn’t be salvaged by a toaster. Grub Street also griped about its “distressingly smooth crust” that could only be produced by an apathetic factory. Social media users seem to share these sentiments. Others decided to take things in stride and see only the good in this unbelievably plain donut-like thingamajig. “At least it’s not a rainbow bagel, folks,” pointed out Caroline McCarthy, Vice President at engagement advertising platform true[X]. Most carbs are beautiful, but many might agree that this one is not. Ewww. What an unsavory-looking bagel. Bet it’s hard and dry. Look at that spongy, bready interior. That smooth, machine-cut surface. A bagel is not just circular bread! This is a glazed donut. Looks a stale doughnut, what the hell is that? Kill it with fire!